Have you ever wanted to walk into a building and be automatically checked into Foursquare, without any action on your part? That’s the promise of an intriguing DIY project from electronic engineering hobbyist, Casey Halverson. He has come up with a low-cost solution that involves a Nike+ sensor, a $25 breakout board and a Web service called Stumble.to that watches for electronic devices, then automatically checks you into your favorite places via Foursquare and other location-based social networking services.  Every so often, we like to feature a “weekend project” here on ReadWriteWeb. These generally consist of the kind of things you’ll want to try out and play with when you have some free time, like over the weekend! None of our projects to date have been quite this involved, but it’s a holiday weekend here in the U.S. – and doesn’t building an automatic Foursquare check-in system beat eating hot dogs at a cookout? We think so. If you have a few hours this weekend, you can build this automatic Foursquare check-in system yourself, with very little upfront investment. If the idea sounds appealing, but you’re not sure if you have the skills needed to make this happen, don’t worry – the hardware may soon be available for purchase alongside re-modded sensors that dangle on your keychain. 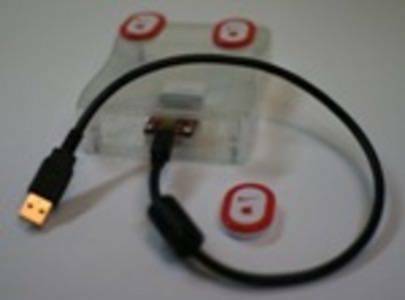 A USB+iPod Serial Adapter: This $25 breakout board (available here from Sparkfun Electronics) sends and receives commands to the receiver and listens for individual foot pods. Your local electronics hobbyist shop may carry something similar. Secondly, you need to register an account with Stumble.to and obtain an API key. 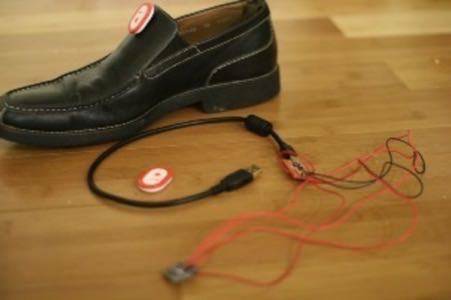 The shoe-agent Python script (direct download): This is the script that connects the Nike+ sensor to the Stumble.to software. Plug in the serial adapter. Edit the shoe-agent script with your API key information and specify the serial port your USB adapter appears as. Garage Project to Become Commercial Success? Although the above guide is meant for electronic hobbyists who want to have a little fun with Foursquare and hardware sensors, this DIY “garage project” may end up leading to commercial success for those invovled. Halverson says he’s thinking now about how he could build a different type of sensor, like one that hangs on your keychain, for example, instead one that sits in your shoe or pocket. The new sensor could be thinner and lighter or maybe have an on and off switch that would register your check-ins automatically when on while still allowing an easy way to go off the grid when needed. The Stumble.to Web service created by Eric Butler and Ian Gallagher has incredible potential as well. Although it only works with Foursquare, Fire Eagle and Twitter for the moment, additional services like Facebook Places, Gowalla and other check in-based social networks can and will be added in the future. Stumble.to essentially works as a middleman between hardware devices and location-based networks. It works with sensors, but also with Wi-Fi clients like laptops and smartphones that register their MAC addresses with the service. In reality, this project isn’t all that different from the system created by mobile check-in service Shopkick, but with cross-platform appeal. Shopkick, now available as a mobile application for smartphones, offers deals to users who check in at popular retail establishments like Best Buy and Macy’s. However, it forces the venue to install the company’s proprietary hardware to verify that the check-ins come from people who are actually in the store. It also requires a smartphone. Using low-cost components at the venue level and short-range sensors like the one from Nike+ offers the same benefits but without excluding users who prefer using other location-based services… or even those who don’t own smartphones! A sensor combined with an online account at Facebook, Foursquare or another site could engage feature phone users who want to participate in this hot, new check-in game, but can’t install mobile applications on their phone. For the end user, the experience could be simple: it would only be a matter of registering an account with Stumble.to and associating their preferred services with their keychain sensor. Afterwards, they could continue to enjoy the features of location-based apps, like the discounts, mobile coupons, tips, reviews and other rewards, without having to actually having to perform a manual check-in on their phone. Another interesting side note: Stumble.to has a “check out” feature too, meaning it can calculate the time you spend at a venue. Although no location-based service tracks this metric today, it could be implemented in future iterations to discourage the so-called drive-by check-ins (those where the user checks in as they pass a venue, often while driving, in order to get the points or rewards in a given location-based game like Foursquare). A service could perhaps dole out more points or better rewards to those who actually stayed put for awhile instead of those who were just cruising by. Whether you geek out on the DIY project or want to wait for a commercially available system, you can see there are clear advantages to automated, hardware-based check-in services. Whether or not companies like Foursquare, Gowalla, Brightkite and others will actually want users to skip using their apps in favor of automation is another matter entirely, though. Some smaller services may be dependent on in-app ads for example, or links posted by their users that drive traffic to company homepages. Automation would have an effect on how the services could be effectively monetized, and that’s something they will need to consider thoughtfully before embracing a system like this. But that’s just them. We think it’s awesome – what about you?